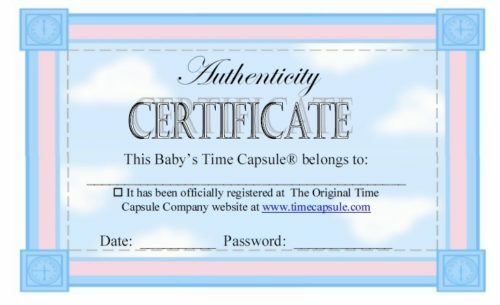 Parents fill Baby’s Time Capsule with memorabilia from the day and year of their child’s birth. 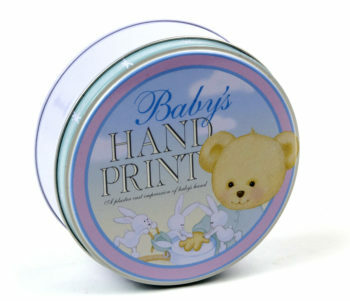 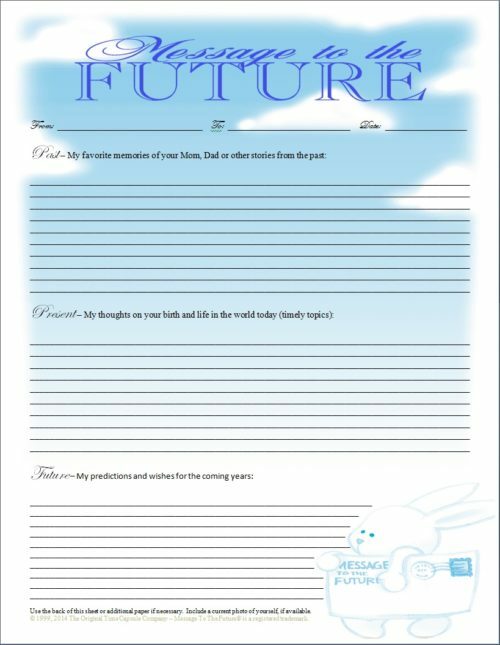 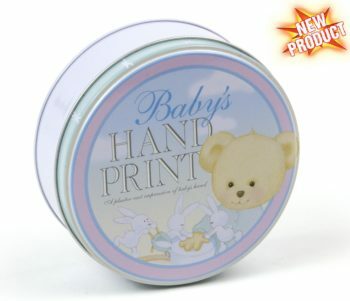 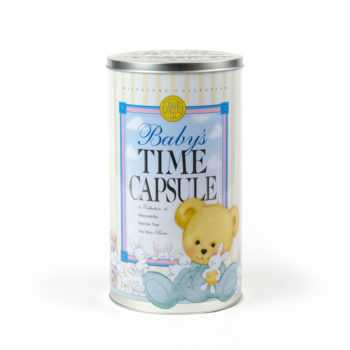 This timeless keepsake is then sealed until a designated day–years in the future–when the baby is grown. 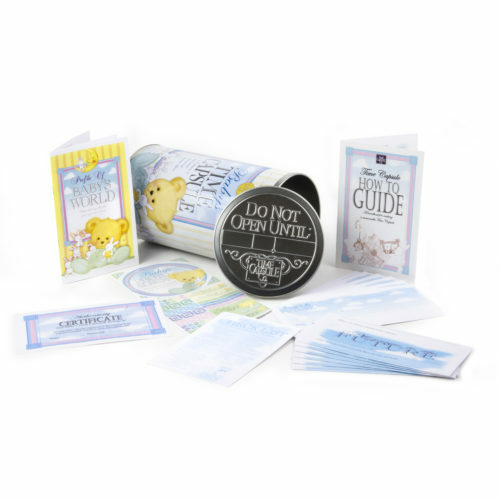 This heartwarming 22-piece gift set comes with everything needed to create an absolutely unforgettable treasure. 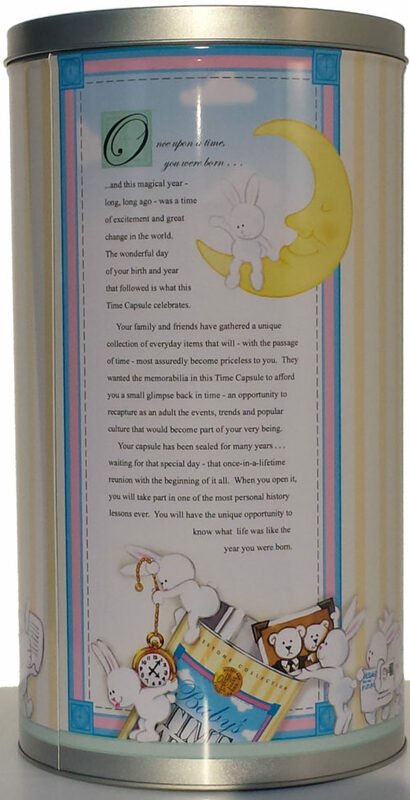 Measures: 12″ tall x 6.5″ wide. 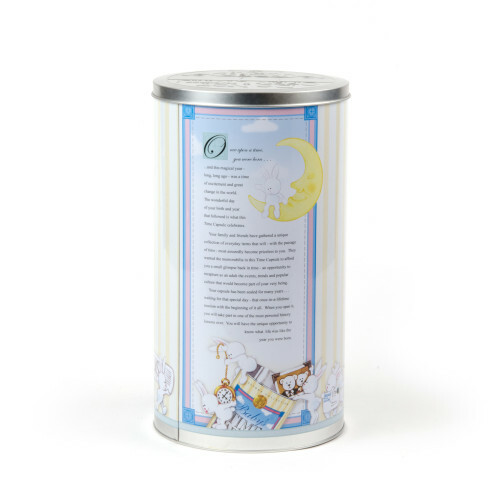 A Baby Time Capsule is the most unique baby shower gift ever. 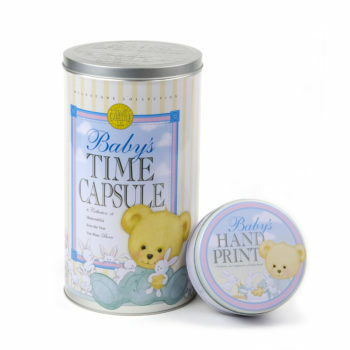 This is a lasting gift full of milestone moment memories to treasure forever. 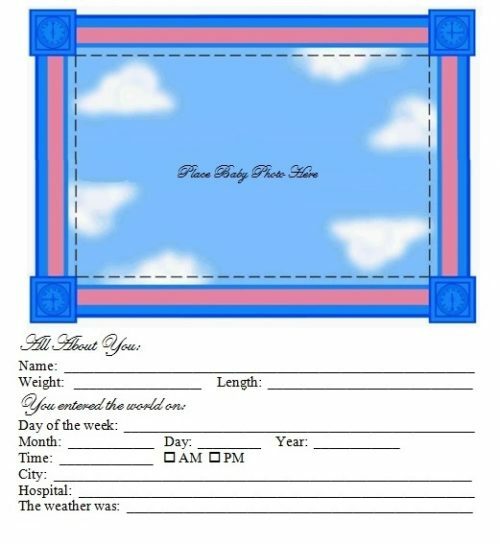 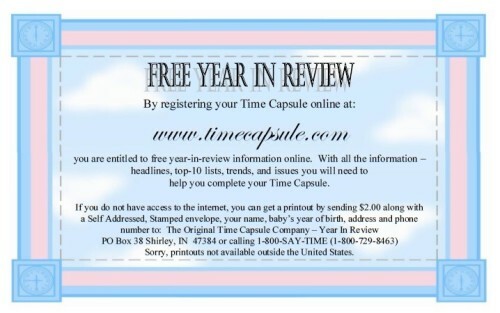 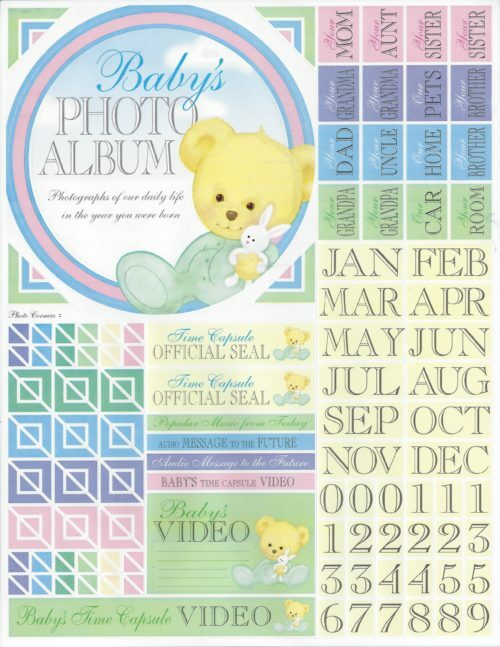 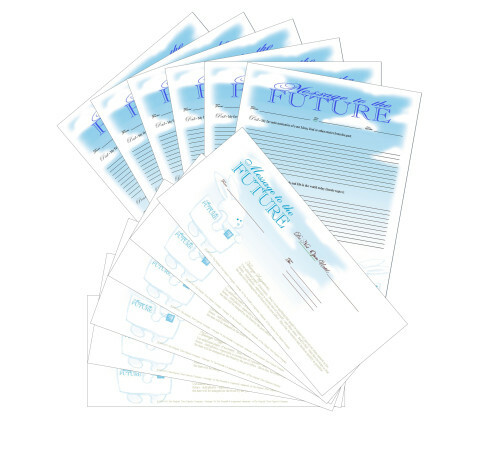 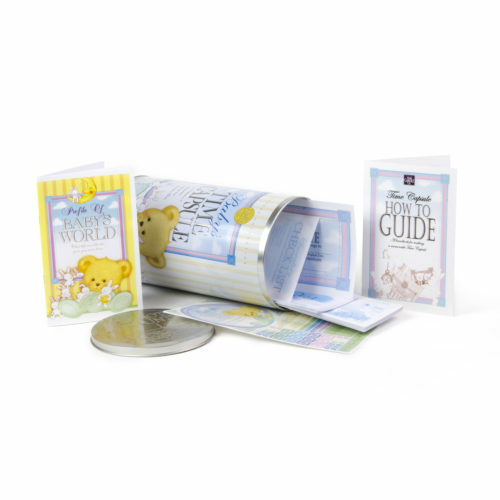 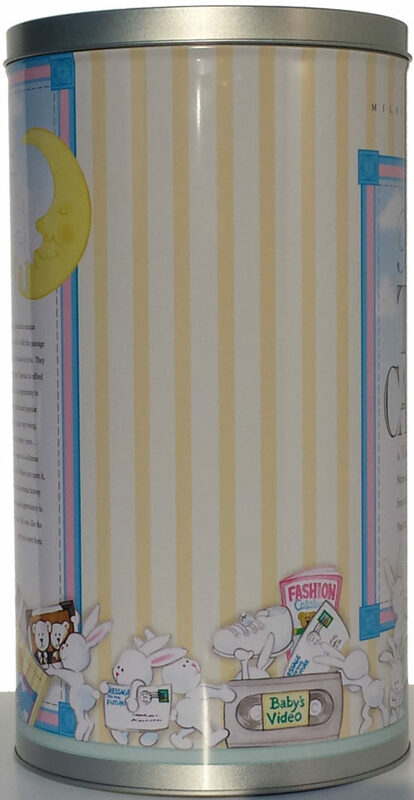 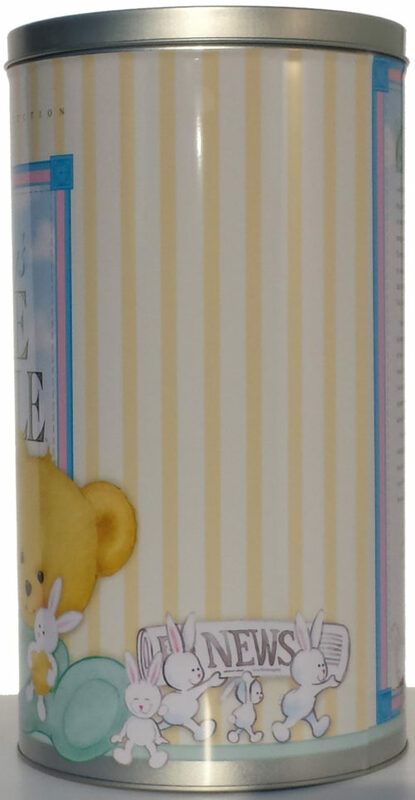 and over 160 full-color stickers to make your Baby’s Time Capsule personal.